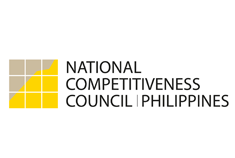 MANILA, Philippines - The Philippines may soon feel the backlash of the ongoing issues surrounding the closure and suspension of mining companies in its global competitiveness rankings, the National Competitiveness Council (NCC) said. NCC private sector co-chairman Guillermo Luz told The STAR the decision of the Department of Environment and Natural Resources (DENR) to close 23 mine sites and suspend five others may affect the country’s standing in some global reports, particularly those that include rule of law, contracts and formation of public policy as indicators. “Any area which affects investor interest is obviously an area of concern for us. Definitely, you can see the impact on the mining sector. Obviously, they are very concerned,” Luz said. “People are watching. On the mining issue, that caused people to ask questions about has there been proper due process in the way the closures have been announced. You have to remember, in that particular industry, all those approvals are approvals by the government and contracts with the government,” he added. The NCC monitors 12 international competitiveness surveys that ranks countries globally in terms of various measures. According to Luz, some reports due to come out late in the year are usually starting to gather data from each country as early as the start of the year. This means the recent action of the DENR to shut down mines and cancel permits will be included in these reports’ data gathering and considerations. “Mining is basically a concession. Without government approval, you cannot move. So what I find difficulty in understanding, and I told DENR this, is that from the beginning, DENR approved the contracts and they were monitoring these permits all the time. Or they should have been. So why all of a sudden they are cancelled. There must be a process to give a report and go over the report to address the issues before getting all the way to a cancellation stage,” Luz said. “But the good thing is what we see in the mining issue is that so far the issue is limited to the mining sector. We haven’t’ seen it get outside. It affects right now only the mining sector and we don’t see it affecting the other sectors. Now that will be a different story if other sectors are affected that way. Then we have a big problem,” he added. As such, Luz remains optimistic the country would still be able to climb in most of the upcoming global competitiveness rankings amid the ongoing mining issues. “I work a lot with government agencies and I can see they are working hard in introducing improvements,” he said. After the Philippines dropped 10 notches in last year’s World Economic Forum Global Competitiveness Report, the NCC called for further reforms in the country’s bureaucracy, infrastructure, technology and innovation. “At the end of the day, investors look for predictability and underlying sort of rule of law picture before they make a decision. So long as they see those two items addressed, then I think the country will continue to be an attractive place to invest. And I think so far when we take a look at least to at end 2016, the numbers are good,” Luz said. “I think it is important for us to make sure that we continue to keep those qualities as far as our public policy is concerned. If we keep those two qualities, I think investors will continue to come in. There’s a risk when you begin to change those qualities, then you cost hesitation. They hesitate and that is not necessarily a good sign. We have to be careful about keeping those two attributes about our economy,” he added.